Alexandria, VA—First Night Alexandria, an annual New Year’s Eve music festival and the largest family-friendly and alcohol-free New Year’s Eve party in the Washington, D.C. region, returns to Alexandria December 31, 2018 with fun for the family beginning at 2 p.m., entertainment starting at 7 p.m. and a culminating spectacular fireworks display—the only one in the D.C. metro area—over the Potomac River at midnight. This annual New Year’s Eve bash presented by the City of Alexandria, Dominion Energy, MGM National Harbor and Virginia Paving Company, takes over Old Town with more than 100 performances at 25 warm indoor venues. Kids Karnival including a kids’ countdown at three locations: Families with children 12 years old and younger can enjoy face painting, balloons, special hosts in costumes along with carnival-style games, dancing and fun at the Kids Karnival from 6 to 9 p.m. happening at three locations throughout Alexandria: the Charles Houston Recreation Center in Old Town, the Mount Vernon Recreation Center in Del Ray and the William Ramsay Recreation Center in the West End. Each party will conclude with an earlier-than-normal kids’ countdown to the new year. Bigger-than-ever bash at the George Washington Masonic National Memorial: The George Washington Masonic National Memorial has been a go-to spot for First Night fun for many years, but the party is bigger than ever this year with performances by the Earth, Wind & Fire Tribute Band, Magician Mike Rose, dance parties all night long with DJ Good Times and fireworks viewing from the lawn at midnight. Variety Showcase at Shiloh Baptist Church: First Night attendees can join a special Variety Showcase from 8 to 10 p.m. featuring several comedians, spoken word poets, performances from a solo guitarist and more. Come for a specific act or stay for the whole show! 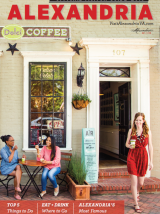 Each year, revelers stroll Old Town Alexandria’s historic streets among art galleries, historic sites, churches and even retail shops that have been transformed into cozy performance venues. Intimate concerts at Principle Gallery and Lloyd House will entertain guests while the Torpedo Factory Art Center and the George Washington Masonic National Memorial rock with dancing to great bands. Old Town’s many restaurants and pubs welcome First Night fans, with a choice of restaurants catering to families with children or couples looking for an upscale date night where they can toast the New Year. Several hotels are offering First Night Alexandria hotel packages, giving visitors the perfect excuse to come early and enjoy a weekend getaway filled with dining, shopping, arts and more before counting down to 2019. Learn more, plan what performances you’d like to attend and create a relaxing New Year’s getaway at VisitAlexandriaVA.com/FirstNight. The main event begins at 7 p.m. with live performances at 25 warm indoor venues throughout Old Town Alexandria’s “Melodious Mile,” from the river to the rail. The city’s most musical evening features rocking rhythm and blues, traditional Irish music, old school funk, acoustic folk, comedic acts, spoken word poetry, swing and more. Dancing in the street starts at the east end of King Street from 10 p.m. until the countdown to the fireworks finale at midnight. Come enjoy the Earth Wind & Fire Tribute Band, the Bill Kirchen & Too Much Fun Band, Vaughan Ambrose Trio, Magician Mike Rose, R&R DJs and many more entertainers while dancing into the New Year with DJ Ray Casiano. Kid-Friendly Fun beginning at 2 p.m. This family-friendly event is jam-packed with activities for kids throughout the day and into the evening. The 10th Annual First Night Alexandria Fun Hunt takes place from 2 to 5 p.m. with teams picking up their clue sheets at the Torpedo Factory Art Center. Then, from 6 to 9 p.m. families with children 12 years old and younger can the Kids Karnival happening at several locations throughout Alexandria and culminating with a kids’ countdown. ADMISSION: $30 December 1-30, 2018; $35 December 31, 2018. Kids 12 and under accompanied by an adult with a badge and active military get in free. On December 31, 2018: Save time and purchase online, then bring your receipt to pick up your badge. Look for the kiosks along King St. for quick badge pick up. The following Full Service Centers are available for in person purchases until 10 p.m.: the Alexandria Visitor Center (221 King St.), Christ Church (118 N. Washington St.), the Durant Arts Center (1605 Cameron St.), the Torpedo Factory Art Center (105 N. Union St.) and the George Washington Masonic National Memorial (101 Callahan Dr.). First Night Alexandria, an annual New Year’s Eve music festival and the largest family-friendly and alcohol-free New Year’s Eve party in the Washington, D.C. region, returns to Alexandria December 31, 2018 with fun for the family beginning at 2 p.m., entertainment starting at 7 p.m. and a culminating spectacular fireworks display—the only one in the D.C. metro area—over the Potomac River at midnight. This annual New Year’s Eve bash takes over Old Town with more than 100 performances at 25 warm indoor venues. New this year is a Kids Karnival for children 12 years old and younger at three locations from 6 to 9 p.m. that includes face painting, carnival-style games and a kids’ countdown; a bigger-than-ever party at the George Washington Masonic National Memorial featuring Magician Mike Rose, dance parties with DJ Good Times and fireworks viewing from the lawn; and a Variety Showcase from 8 to 10 p.m. at Shiloh Baptist Church featuring comedians and spoken word poets. Tickets are $30 December 1-30, 2018 and $35 December 31, 2018. Kids 12 and under accompanied by an adult with a badge and active military get in free. For more information, call 703-746-3299 or visit FirstNightAlexandria.org. Join the conversation online at #FirstNightALX.